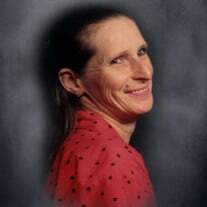 Christine Heistand, 63, of KCK passed away April 21. A visitation will be held from 1-2pm on Friday, April 28 at Maple Hill Funeral Home. Service will begin at 2pm. Burial will follow at Maple Hill Cemetery. The family of Christine Joan Heistand created this Life Tributes page to make it easy to share your memories. Send flowers to the Heistand's family.